100% natural charcoal made from coconut shells. Contains no sulfur. Burns up to 4X longer than any charcoal. Leaves less than 3% in ashes. Burns ultra clean, tasteless and smell free. Does not produce any flames or sparks when lighting or using. Economical and environmental friendly. 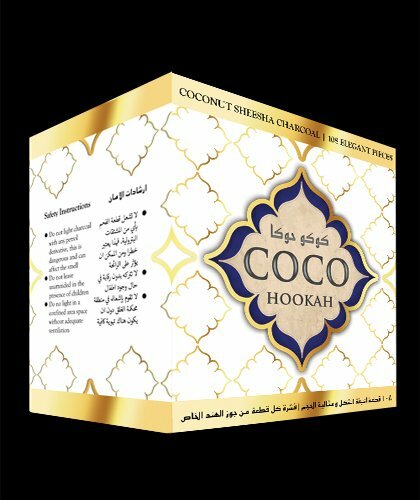 Not a single tree was cut down to make this Coco-Hookah product. You will love this product, money back if you're not 100% satisfied!! Please read the instructions below on how to effectively and efficiently like Coco Hookah Coals! 100% natural hookah charcoal made from coconut shells. Contains no sulfur. Burns ultra clean, tasteless and smell free. Does not produce any flames or sparks when lighting or using. Economical and environmental friendly. No trees were cut down to make this Coco-Hookah product. Burns up to 4X longer than that cheap hookah bought in other Hookah stores; buy the best shisha coal directly from us. You will love our shisha flavors. If you're not 100% satisfied we'll give you your money back. Please read the lighting instructions in the description for details on how to best light our shisha charcoal. If you have any questions about this product by Coco-Hookah, contact us by completing and submitting the form below. If you are looking for a specif part number, please include it with your message.